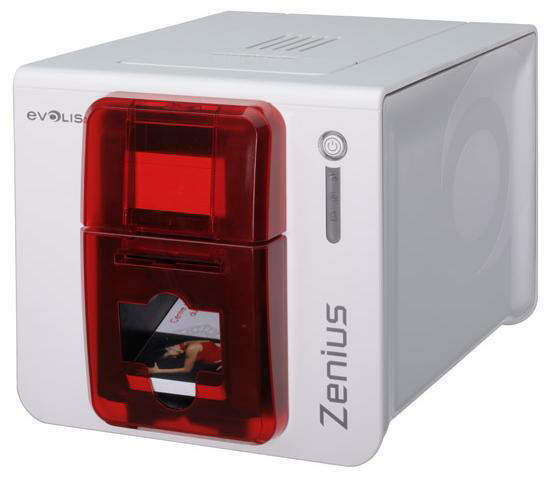 "Evolis Zenius card printer + FREE supplies"
EVOLIS, E-MEDIA CS - STANDARD EDITION, V7. � Evolis Premium Suite� , software, at the core of all new Evolis printers. This software architecture supplies the Print Center, a printing and configuration system that monitors all communications between the printer and the user. � The Evolis High Trust� range of consumables is specifically designed to deliver premium graphic performances and ease of use. Installing the ribbon cassette is a simple one-step process and thanks to a chip, Zenius instantly identifies the ribbon type and configures all settings accordingly. of the options. Only one plate per printer.